One of the leading Abu Dhabi recruitment agency, Alliance Recruitment Agency offers relevant candidates for manpower requirements of different industries located in Abu Dhabi. Whatever the industry – retail, hospitality, welding or movers and packers, our recruitment consultant Abu Dhabi caters to the need of every industry house. We offer candidates from Abu Dhabi and can process resumes from across the globe to meet the client hiring needs. As an international hiring agency, we have made a name for ourselves in the field of recruitment agency Abu Dhabi. Being the leading Abu Dhabi recruitment agency, we understand that no two industries are the same. The job requirement and the package offered vary from one industry to another. When hiring resources, we keep the need of the company and the candidate profile and recommend those candidates that fit the bill. If you are looking for project based hiring where the employee will be hired for as long as the project continues, our consultants will process the resumes accordingly. 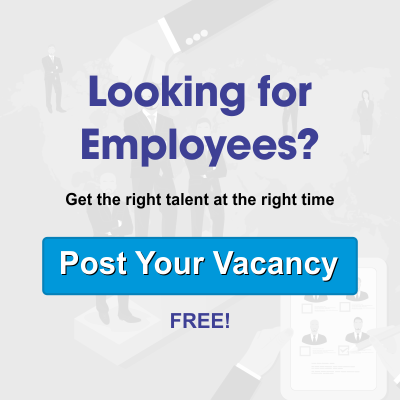 We offer transparent hiring process to avoid any hassles in the future. Whether you are looking for project based hiring or contract staffing, our Recruitment consultant Abu Dhabi caters to your specific requirement to offer you the best possible resources in the market. Our consultants carry out different levels of screening to offer end to end solutions to both the company and the candidates. Having in-depth knowledge on the specific industry is not enough. To survive the growing competition, candidates need to have the required soft skills. There are many organizations that give equal importance to industry specific knowledge and soft skills. To ensure that the candidates processed fit your bill, we have soft skill assessment as well. As the pioneer recruitment agency in Abu Dhabi, our consultants arrange interviews in our office to arrange the soft skills before processing the resume at your end. Our consultants often come across candidate profiles that have the required skill but their resume formatting is all wrong. Before the resume is processed, our recruitment consultants in Abu Dhabi format the resume to highlight the skills required to match the job description. We have different resume formatting tools and techniques to meet the demands of the growing market. The job portals are full of resumes, but each one of them does not belong to the same industry. Selecting the right resume is a huge task. Our consultants use different search techniques to come up with the best possible candidates out of the bulk. Once the resumes are shortlisted, they are interviewed over Skype or web cam by our trained professionals. They are called for a face to face interview in our office once they clear the telephonic interview. We carry out soft skills test at our end before we process the shortlisted candidate to your organization. Target-driven Recruitment approach – Our consultants have a target driven approach. We will cater to your organization as per your goals and objectives so that the candidates processed meets your company’s organizational needs. No two companies are same; neither is their way of functioning. We offer industry specific service to avoid any hassle in the long run. Excellent Communication Skills – all our consultants are well versed in what they do. They have excellent communication skills which helps them to assess the soft skills of the candidates sourced. Efficient Time Management Skills – we offer on time service to meet the deadline. IT and Social Media Skills – our professionals are tech savvy and are equally competent in social media skills. Confident team of recruiters – with several years of experience in the hiring industry, we have a confident team of recruiters at disposal.